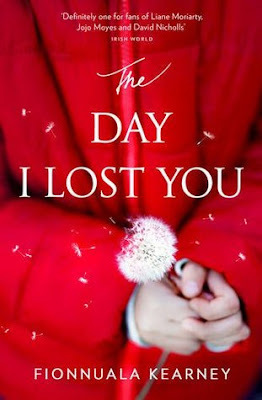 Back cover blurb: THE DAY I LOST YOU WAS THE DAY I DISCOVERED I NEVER REALLY KNEW YOU. When Jess’s daughter, Anna, is reported lost in an avalanche, everything changes. Jess’s first instinct is to protect Rose, Anna’s five-year-old daughter. But then she starts to uncover Anna’s other life - unearthing a secret that alters their whole world irrevocably . . . THE DAY I LOST YOU WAS THE DAY YOU TORE OUR FAMILY APART. The perfect emotional and absorbing story for fans of Jojo Moyes and David Nicholls. You, Me and Other People, Fionnuala Kearney's debut novel, was one of my favourite reads of last year, so I've been looking forward to the Day I Lost You for quite a while. And she has done it again...! Written a glorious novel full of wonderful characters (some loveable, some not so) that will keep you gripped throughout and really care what happens to them. When Jess's Twenty-Five year old daughter, Anna is reported missing from a skiing trip, presumed to be caught up in an avalanche, her world is shattered. Not wanting to believe that her daughter is dead she throws herself into taking care of Anna's daughter and her beloved Granddaughter Rose. Just when Jess thinks thing couldn't possibly get any worse, Anna's disappearance begins to throw up questions, subtle things at first, which grow bigger and bigger, until soon Jess is questioning whether she ever really knew her daughter at all. As those around Jess come forward to help and Jess slowly uncovers more about Anna's seemingly secret life, Jess begins to question just who she can trust. Because if she didn't even know her own daughter, then she's hardly the best judge of character. As she begins to push away those who love her, one final truth is uncovered about Anna. One that will have devastating consequences for all concerned. Can Jess rally around her those who will love, help and protect her. or has she already pushed them too far away? The Day I Lost You is a fantastic novel, and I really cannot wait for Fionnuala's next! The Day I Lost You is available from 22 September 2016. Thank You to lovereading the publishers who approved my request in exchange for an honest review.